The day has finally arrive fight fans, it is fight day for Legacy FC 30 and the popular Texas MMA promotion will host a stacked fight card tonight at the Route 66 Casino just outside of Albuquerque, New Mexico. In conjunction with Fresquez Productions, Legacy FC brings their successful show to the very first time to our state and they didn’t pull any punches when match-making for the professional card. From the headliner to the highly anticipated Flyweight tilt, Legacy FC has a little something for every kind of fight fan. Whether you like knockouts or submissions, grueling chess matches or all-out wars; Legacy FC 30 has the type of match-ups and fighters to entertain any type of fan. Prior to the event, we encourage you to browse through the site, we have dedicated a tremendous amount of time and effort to covering the event. However, in our best effort to prepare fight fans for tonight’s evening we though we’d bring you a quick “fan guide” focusing on the main card of the event. You could even call this the cliff notes of all of our coverage from the event. Will Holly inch closer to the UFC with a win tonight? Her fight with Juliana Werner may be an audition for the biggest fight in her MMA career to date. Quick Synopsis: When this event was announced. it came as no surprise to anyone that Holly Holm would be the headliner. Fresquez Productions and the Legacy FC promotion have their eye on their prize which is building off of the popularity Holm has garnered since being mentioned by the UFC as a potential addition to their roster. Holm is not a stranger to main event status, aside from her Bellator MMA bout last year, Holm traditionally takes the helm as an event’s headlining act and featured fighter. What To Watch For: Holm is known for her World Championship Boxing skills but Holm’s strength rests in her kicks and footwork. It is very hard to catch Holm inside the cage and seemingly impossible to close the distance enough to grapple or wrestle. Her kicks land hard and she has a highlight reel of kicks that have ended the night for very unfortunate girls. I expect Holm to keep his distance while launching her accurate strikes to pepper her opponent until she finds a home for that big head kick. As usual, fight fans should expect Holm to throw leg kicks plenty which have softened up most of her opponents so far in her young MMA career. Brazil’s Juliana Werner typically fights 10-pounds lighter at 125-pounds so it is unlikely she will entertain the idea of trying to out-muscle Holm, I expect the durable Werner to fight patient and look for openings. If she can catch a kick or time a kick in hopes Holm will slip, she can get the fight to the ground without the risk of eating big strikes. Werner is definitely out-matched on the feet and she will be the next girl in a long line of girls who is supposed to challenge Holm’s ground game. Post-Fight Effects: As we discussed in one of our mini-series articles on Legacy FC, every victory going forward going be Holm’s last on the regional circuit. She has been knocking on the door of the UFC for some time now and if it wasn’t for negotiations stalling between UFC President Dana White and Holm’s management, we could expect her to be on the UFC card for June which is being held in Albuquerque. Unfortunately, Dana White doesn’t break his business model for fighters and Holm isn’t as heralded by fight fans across the world as she is in her home state. With a win, Holm’s inclusion in the UFC will be a hot topic; of course, with a loss, all that goes out the window for Holm as the UFC will have more bargaining leverage should her undefeated aura be taken away. Quick Synopsis: Donald Sanchez is a local legend and one of the most experienced fighters around the State of New Mexico; it seems as if they same can be said about Flavio Alvaro in his home town of Sao Paulo, Brazil. When we broke down this fight we discussed the experience between the two fighters and how rare it is to find guys who combine for 100-fights in MMA experience. Sanchez moved gyms, from FIT NHB to the Jackson-Winkeljohn gym after his last bout and the effects of the change will be a point of intrigue when Sanchez fights tonight. What To Watch For: I would definitely warn fight fans of an aggressive, exciting all-out war between these two grizzled veterans. This could be the “Fight of the Night” and as I have said before, I don’t recall a boring Donald Sanchez fight. The Albuquerquean is inept for using all eight limbs any way possible to hurt his opponent. The lead strikes of Sanchez have amazing accuracy and the usage of lead strikes (other than typical jabs) really set up the use of combination and volume striking. I expect Sanchez to push the pace and take the fight right to Alvaro. Alvaro is explosive and dynamic, he has finished a lot of fights and has done so quickly, and ferociously. Alvaro can be very calculated and methodical inside the cage but don’t let that fool you, Alvaro is waiting for a shot and when he throws, Alvaro throws with bad intentions. Look for Alvaro’s loaded punches which he tucks back in exchanges awaiting the opening to land it. He will often use head movement to dodge strikes which allows him to load up and land knockout inducing punches and kicks. Post-Fight Effects: This is a huge fight for both fighters. The UFC is expanding to both Brazil and New Mexico and a win by either fighter places him in a good place to get the call-up to the big leagues for a fight in their respective hometowns. For both fighters, the change to fight in the UFC is a long-time coming as both men have dedicated long careers to MMA and the end result will be rewarding for the fighters and their fan base. 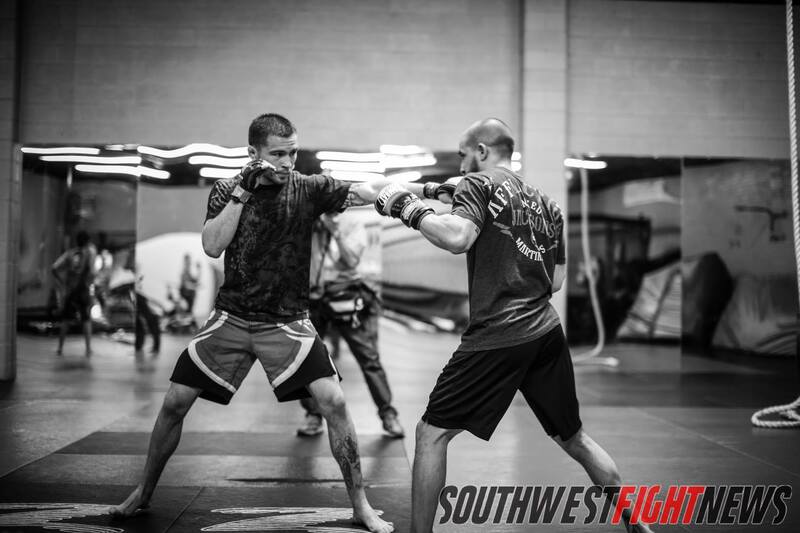 In the battle of explosive and technically impressive Flyweights, Nick Urso and Ray Borg will participate in what is arguably the most relevant MMA bout featuring two locals in New Mexico MMA history. Quick Synopsis: Anyone who follows this site for MMA news knows that this fight is our pick for the best fight of the event. We have dedicated lots of attention to this bout and believe that Urso vs. Borg is the biggest local fight in New Mexico MMA history. We gave you several reasons why fans need to tune in to watch this event and this lone match-up should be reason enough to make the trip. The two fighters are from rival gyms and represent the #1 and #2 prospects in New Mexico regardless of weight class and even though Tapology seems to favor Urso, this fight is as good as you will get on the regional circuit. What To Watch For: The blazing speed of the Flyweights will be on center stage tonight as both Urso and Borg are insanely quick and explosive. While the fighters and coaches won’t publicly admit it, Urso and Borg have more than wins or losses hanging in the balance. Representing rival gyms, these two fighters will be fighting to change the landscape of the local, regional MMA scene in New Mexico. I would keep an eye on the transitional dominant of Borg who can move from striking to wrestling to Jiu Jitsu in a blink of an eye. 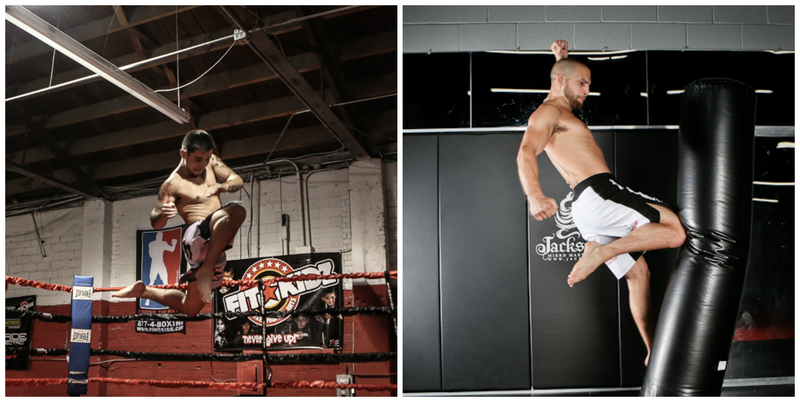 His hybrid style of fighting has coined Borg the label of being one of the “Breakout Stars” of our State’s fight scene. While Borg is still very young in his career and only 20-years of age, the maturity level in his fighting style has him poised to make a run at the big show. Also keep an eye out for the grappling fluidity of Borg, I believe that if anyone at 125-pounds makes a mistake on the ground, “The Taz-Mexican” can submit them. When Urso touches gloves, watch for his technical precision in his striking delivery. He is refined, well-tuned, and extremely dedicated to his craft; those characteristics should make for a tall task for anyone to overcome. Urso has very crisp, powerful punches and should he be able to stifle the wrestling attack of Borg, the Floridian Urso has been well-known to put on striking clinics inside the cage. Post-Fight Effects: More so than any other fight on the fight card, this bout has the most significant ramifications for the winner. Whoever has their hand raised tonight will become undoubtedly the best fighter in the lighter weight classes not signed by the UFC and will also be considered the number one prospect in the State of New Mexico. A big win for either fighter may just be the marquee-victory needed to get the call to the UFC, or even to the World Series of Fighting. Not only that, the winner brings home bragging rights for his gym in a very competitive and storied rivalry between FIT NHB and the Jackson-Winkeljohn gym. Judgement MMA’s Adrian Cruz works with Head Coach Scott Marlowe. Cruz is a talented striker with methodical grappling talents to compliment the stand-up and he will need every bit of that skill tonight against Jackson-Winkeljohn fighter Henry Briones. Quick Synopsis: In another battle of local gyms sending out their fighters for some bragging rights, Judgement MMA’s Adrian Cruz represents the best-of-the-best from the Rio Rancho gym and Henry Briones represents the Jackson-Winkeljohn gym as part of the wave of Mexican fighters poised to make a run for the UFC when they expand into Mexico. Cruz is a hard-worker, really a work horse as a fighter and he will bring in well-polished skills and elite level conditioning. Briones is a naturally talented fighter who made a name for himself fighting in Mexico where he would showcase well-rounded striking and grappling skills. What To Watch For: Each minute that passes in the 15-minute fight, the more favorable the fight is for Cruz who’s conditioning is outright impressive. “Killa” Cruz can work opponents from top position and in the striking game. Cruz hits hard when he throws and when he is on the ground, he mixes us crafty submissions with powerful ground and pound. Briones is dynamite in his talents, he has the ability to end the fight with precision counter strikes and solid offensive grappling. The two fighters are similar in that they push the pace and prefer to be in command of the pace of the fight. Post-Fight Effects: This is definitely a statement fight for Briones and a redemption fight for Cruz. Briones, part of the Mexican influx at the Jackson-Winkeljohn gym is expected to be UFC bound so long that he keeps winning. A win over Cruz will definitely turn some heads and start to build a fanbase in his new home of Albuquerque. For Cruz, coming off of a loss is one of the hardest things to do as a fighter and the highly touted prospect will need a convincing win to propel himself up the ladder towards bigger fights. The fight is between two tough fighters, fighting for something vastly different and both simply need a “W” over the other. Taking on an opponent with the exact opposite style of fighting isn’t the easiest of match-ups. Gene Perez will look to put his striking talents up against the wrestling of Mikey Lovato. Quick Synopsis: Belen vs. Albuquerque fight fans, Mikey Lovato returns to MMA action and meets up with Belen’s talented striker Gene Perez. Currently revamped and poised to make another run inside the cage, Mikey Lovato will fight in the 125-pound weight class where he has only lost once in his career. With his powerhouse wrestling skills engraved into his person, Lovato has worked with Albuquerque Kickboxing Academy’s Ray Yee to polish up his striking. Gene Perez of the Perez Fighting Systems is a well-known fighter in the area as he has fought several notable opponents during his career. A win over Lovato would mark his biggest career victory to date. What To Watch For: The single and double leg takedowns of Lovato will be a spectacle to see should he work a wrestling oriented game plan. Lovato has been known to get deep on a takedown and pick opponents up over his head to slam them down emphatically seconds later. The technical dominance of Lovato’s wrestling has been showcased on amateur wrestling’s brightest stages and his MMA career was full of grappling dominance. Being a dominant wrestler, watch out for arm-locks such as kimuras and americanas should the fight hit the mat. Don’t blink an eye when Gene Perez is whipping his right hand towards an opponent as the Belen fighter has knockout power waiting to be unleashed. Perez is a stand-up fighter still improving his ground game; if Perez is able to use his length to keep Lovato out of wrestling range, watch out for that striking to really be a lot for Lovato to handle. Post-Fight Effects: A loss for either fighter can be devastating, for Lovato it could derail his comeback campaign and for Perez it places him in a big hole in his attempt to get on the right side of .500. When there is so much on the line, I expect both fighters to come into this fight extremely hungry. Perez would get a marquee victory over a storied and celebrated veteran in MMA and Lovato would start his MMA return with a huge showing of positivity. I expect both fighters to leave it all in the cage. That wraps up our Legacy FC 30 pre-fight coverage! Follow our Twitter handle (@SWFight) tonight for round-by-round updates and results. As always, we encourage the fight fans to come out and support our local fighters. IF you aren’t able to make it to the Route 66 Casino by 7:00 PM, tune in to AXS TV to catch the Legacy FC event live!